Do you believe that you have a soul? If so, do you think that it will it survive the death of your body? Come and hear cognitive scientist, author and psychology professor Julien Musolinodiscuss “The Soul Fallacy,” from his book The Soul Fallacy: What Science Shows We Gain from Letting Go of Our Soul Beliefs, at the Freethought Society’s meeting on Wednesday, August 24 at the Ludington Library, 5 South Bryn Mawr Avenue, Bryn Mawr, Pennsylvania at 7:00 PM. Most people believe they possess an immaterial soul that will survive the death of the body. In sharp contrast, the current scientific consensus rejects the concept of a traditional soul. This conclusion is rarely discussed publicly. 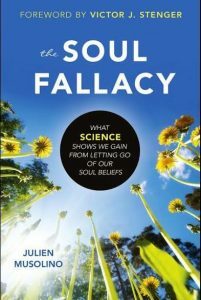 Musolino will explain why modern science leads to this controversial conclusion, and he’ll also demonstrate that we don’t lose anything by letting go of “soul beliefs” and that there is something important to gain in doing so. The aim of Musolino’s scientific work is to understand the functioning and development of aspects of the human mind such as language, reasoning, and critical thinking. His research has been funded by the National Institutes of Health and the National Science Foundation. In addition to being a scientist, author and public speaker, Dr. Julien Musolino is a tenured professor of Psychology and Cognitive Science at Rutgers University, New Brunswick, where he holds a dual appointment in the psychology department and the Center for Cognitive Science. Born and raised in France, he studied at the University of Geneva in neighboring Switzerland; the University of North Wales, Bangor, in the United Kingdom; the University of Maryland; and the University of Pennsylvania. He is the author of numerous scientific articles and is regularly invited to give lectures in the United States and around the world. 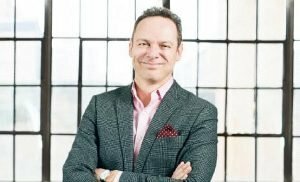 He has appeared on television programs, including The O’Reilly Factor, his work has been discussed in popular magazines, including Psychology Today, and he’s been a guest speaker on radio and podcast programs in the United States and abroad. Musolino is also deeply interested in science, the history and development of science, the public understanding of science, and the factors that interfere with the understanding and dissemination of scientific knowledge. His resent work focuses on the implications of the sciences of mind for a range of issues at the interface between science and society. The goal of this work is to promote the role, understanding, and importance of science, reason, and critical thinking, especially in a country like the United States. This work takes on a public dimension, and is represented by literary agencies in New York and London as well as the Speakers Bureau of the Secular Student Alliance. Julien Musolino’s “The Soul Fallacy” presentation is free and open to the public and takes place Wednesday, August 24 at the Ludington Library, 5 South Bryn Mawr Avenue, Bryn Mawr, Pennsylvania 19010 at 7:00 PM. For more information, contact Margaret Downey, Freethought Society President, at 610-357-9432, or email her at Margaret@FtSociety.org.